For busybody kids, nothing beats a good, springy kids trampoline to help them get out pent-up energy. Trampolines are a cool and safe outdoor toy (or indoor toy depending on the size) for kids of all ages. There are even miniature bouncers for toddlers. There are several benefits to owning a trampoline (to exercise or have fun in a safe environment) but, what is also important to consider when buying a trampoline, is whether it meets all of your needs. Fortunately, there are different types of trampoline in varying sizes, shapes and bounces. With so much variety, finding your ideal children’s trampoline can be a difficult task. As a guide, we’ve put together our list of our five top trampolines for 2018. 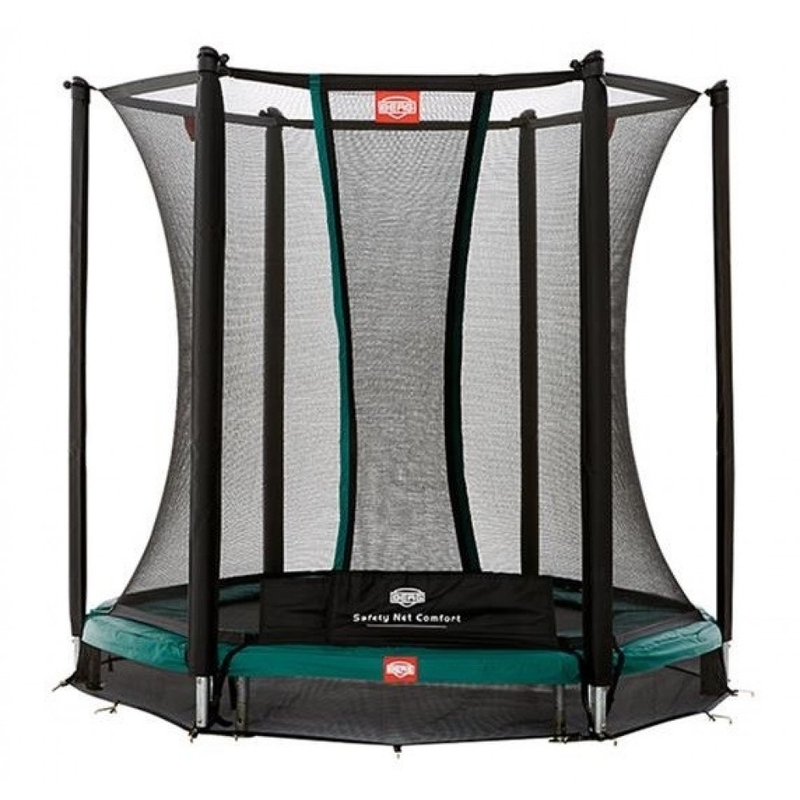 This mini trampoline is perfect for the youngest bouncers in the family. This bouncer is not only a fun outdoor toy for children as young as a year old, it’s also an educational tool. The Early Fun Trampoline helps children to develop their balance by strengthening their muscles and understanding of coordination. And, importantly, it’s completely kid-proofed so even clumsy tots come away every time bruise-free. There’s a stabilisation bar for children to cling to while they bounce and lots of soft padding around the base. And, given its compact, lightweight construction, this can be used indoors too. Plum are well known for manufacturing the best trampolines in the business. When you buy a Plum trampoline, you know that you’re buying the highest quality at a great price. Plum’s 4.5ft offering Is no different. 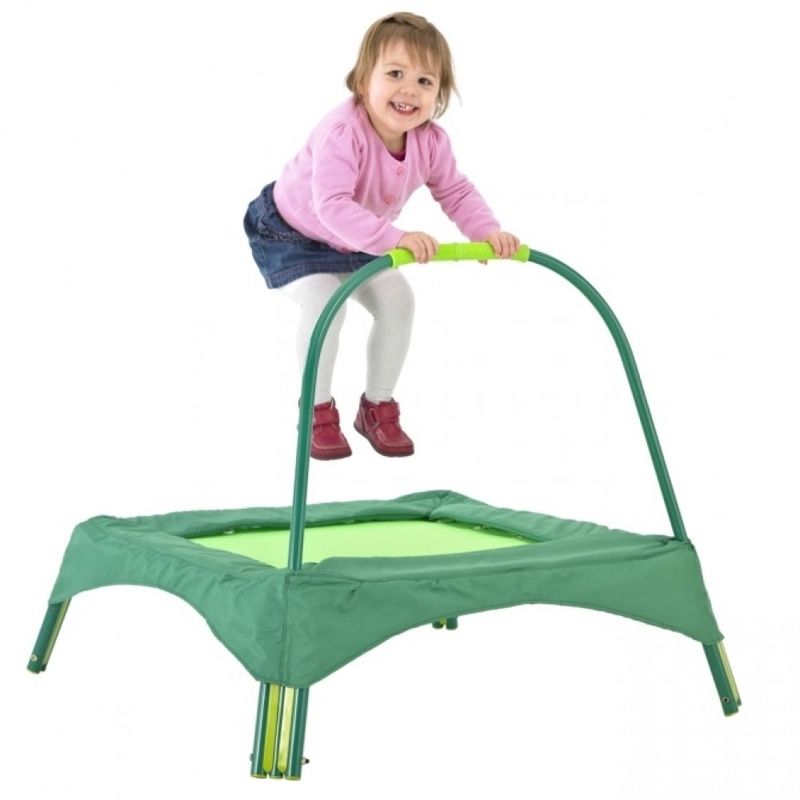 This small trampoline is ideal for kids who are just learning trampolining and parents with smaller gardens. Part of the junior trampoline bracket, this trampoline is made from durable zinc-coated steel and boasts a sturdy enclosure that keeps children securely on the trampoline as they improve. The poles and springs are foam padded and even the jumping mat is UV treated to protect from those dangerous sun rays. 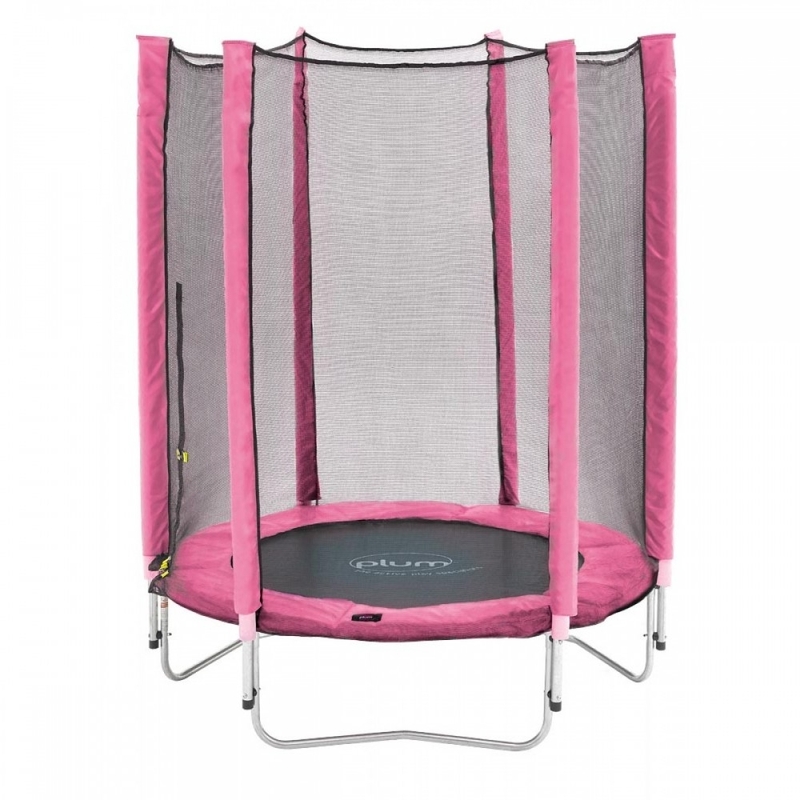 Available in pink and blue, the 4.5ft Junior Trampoline marries simple, effective design with an eye-catching appeal. 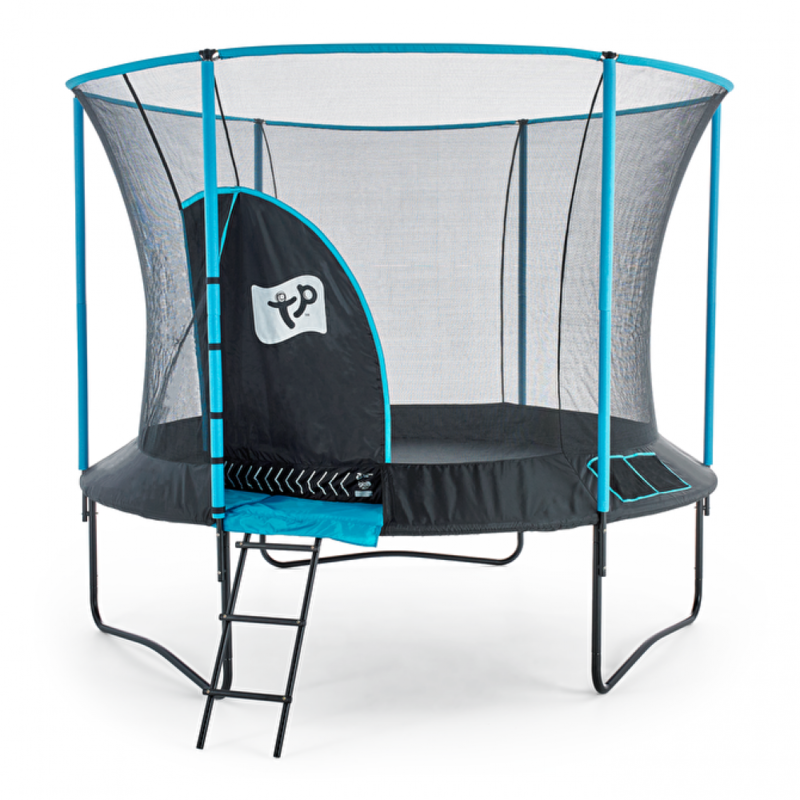 This brand new 10ft trampoline from TP Toys includes lots of safety technology without dampening the entertainment factor. Just looking at it you can see how TP have improved on their original design to make round trampoline that looks as good as it plays. TP have introduced their latest door entry system – the IGLOO door entry. The zip-free, crawl-through entry is basically like the tunnel entrance of an igloo and allows for safe entry and also keeps jumpers safely inside. Surrounding the trampoline is the SurroundSafe enclosure too. The concave shape keeps users away from the springs while they bounce. There’s also an additional enclosure layer outside of this one to protect children outside from the springs too and, of course, soft-touch foam and PVC cover the springs. Notably, this trampoline – being a larger model – is higher from the ground than the previous childrens trampolines we’ve looked at. This means that this trampoline is suitable for users aged 6 and up, but it comes with a ladder for easy access. Over the years Berg have produced some fantastic toys. Now they’ve introduced that level of engineering nous to the trampolining market to produce the Talent 180 In Ground trampoline. 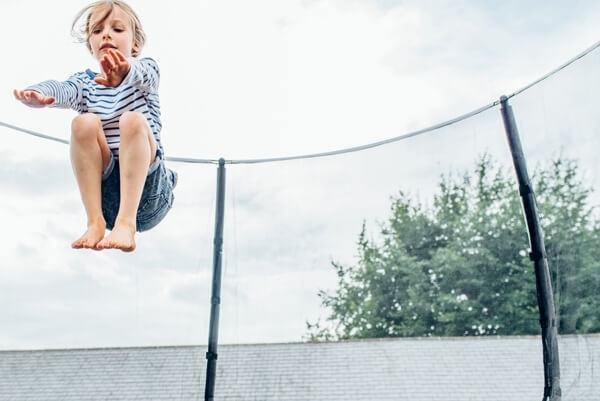 What makes this 6ft trampoline different to your typical trampoline is two things: firstly, it’s installed into the ground of your garden and, secondly, it has a protective safety net around it – which is unusual for in ground trampolines. It also brags 36 springs for an even, lively bounce. If you play without the enclosure, this trampoline is really discreet to add to its compactness making it perfect for the majority of gardens. 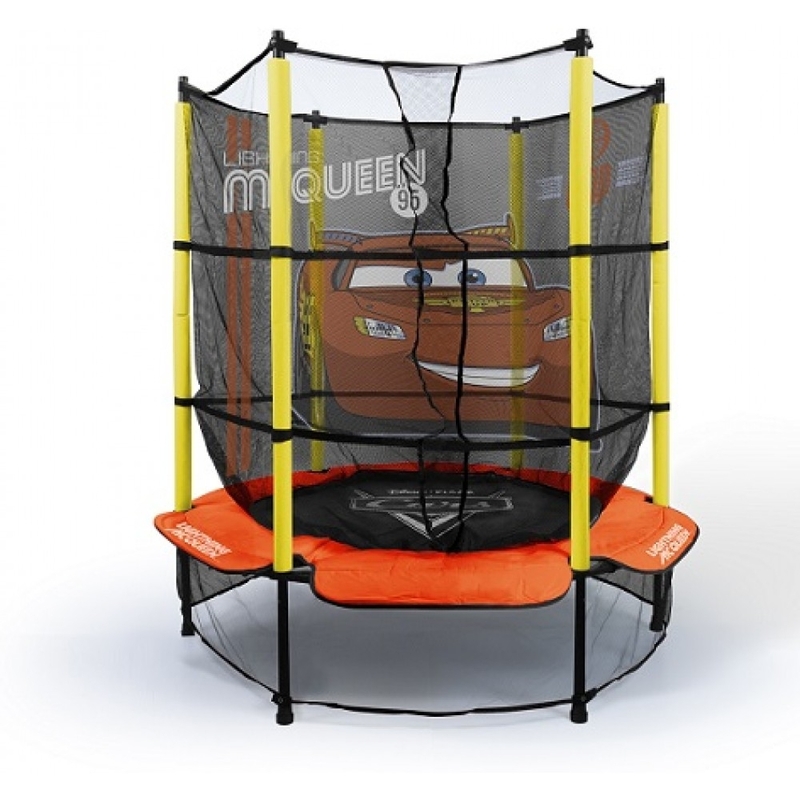 This small trampoline comes in two colourful, fully licensed designs: Disney’s Cars or Disney’s Frozen. With these unique designs, you can really personalise the trampoline for your kid. Every part of this kids trampoline has been childproofed – from the padded stability poles to the safety net and the safety apron around the trampoline’s legs.